A disc-shaped UFO was reported by an Alabama witness at Huguley. 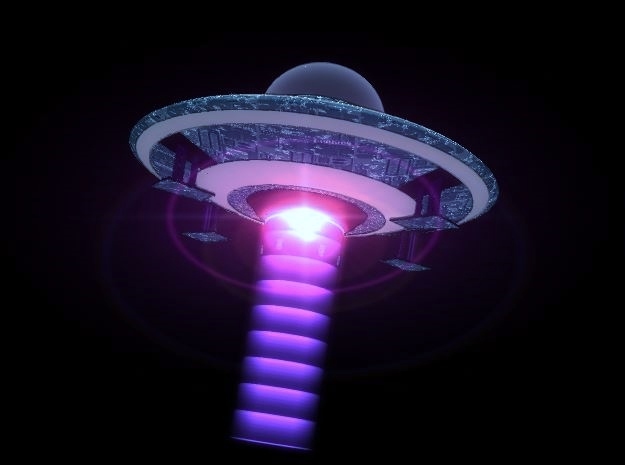 The mysterious object had two bright, tubular-shaped lights, according to the testimony filed at witness reporting database of Mutual UFO Network (MUFON). The report, which is lodged under Case 61372, states that the classic-shaped UFO hovered over nearby treetops. The witness first saw the object when he was eastbound on the street near Huguley around 3 a.m. on 2 November 2014. He saw the mysterious object going down at slow speed from the west. The object hovered above treetops along the side of the road for a few seconds. He said that during the strange event, he was on the straight part of the highway and no other traffic, so he clearly saw the object without distractions. The report says that the witness saw the white lights very clearly, which were side-by-side on the bottom of the UFO and appeared to extend its whole length. However, the witness admitted that he did not saw the outline of the craft because it blended with the dark sky. The witness described the temperature as cool and mild with 45 or 50-degree range and it was only partly cloudy during that time. The object hovered for perhaps 5 seconds before it went up into the southeast sky with tremendous speed and quickly disappeared, the report says. The witness explained that the disappearance was very quick like it swoop upwards without changing direction and disappeared. NOTE: The above image is a rendering.